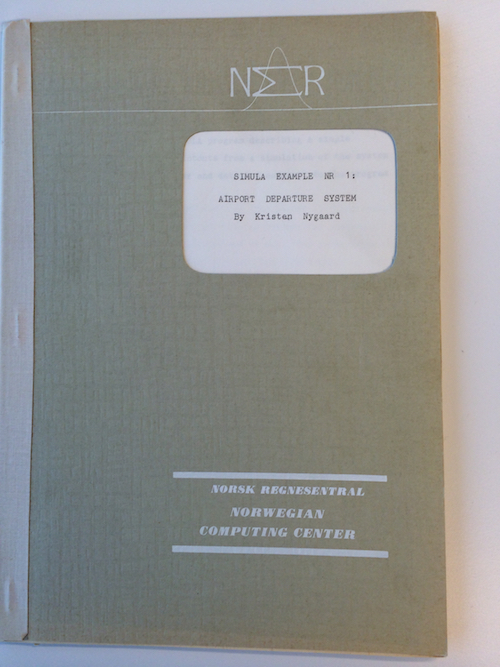 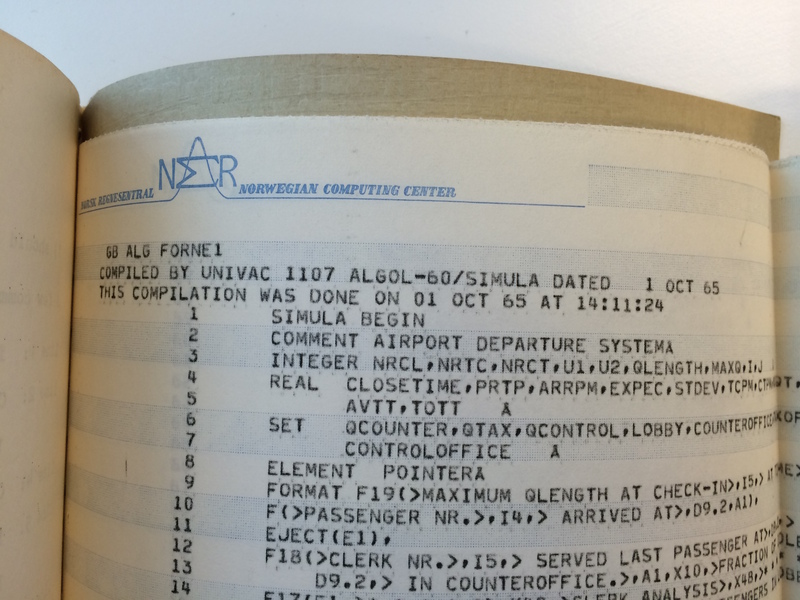 Today I was fortunate to hold a piece of programming history in my hands – an original technical report – containing what is likely to be the first Object-Oriented Program ever written and published. 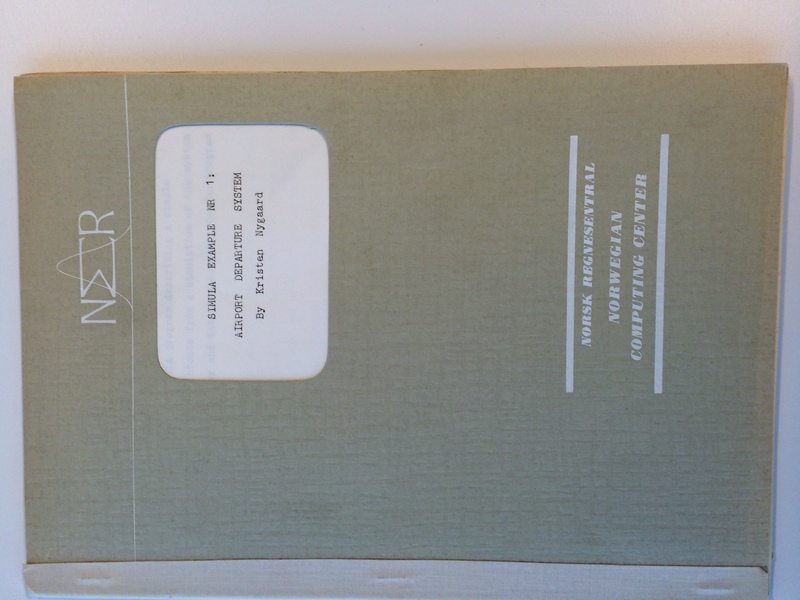 The report is called “SIMULA EXAMPLE NR 1: AIRPORT DEPARTURE SYSTEM By Kristen Nygaard”. 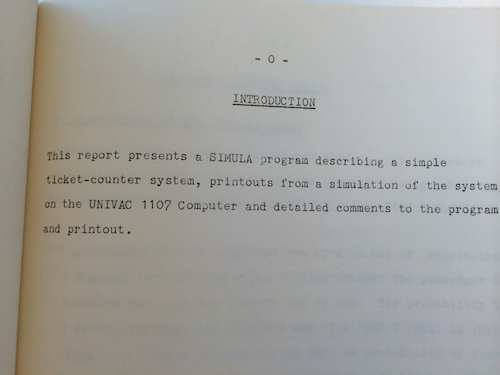 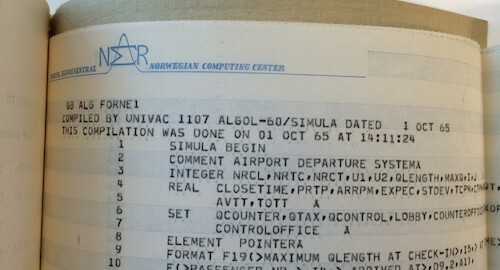 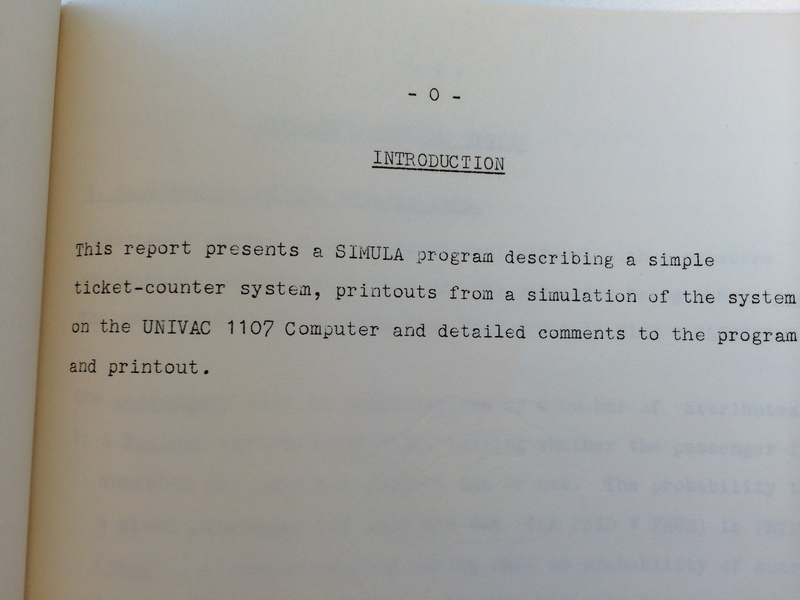 Introduction: This report presents a SIMULA program describing a simple ticket-counter system, printouts from a simulation of the system on the UNIVAC 1107 Computer and detailed comments to the program and printout. 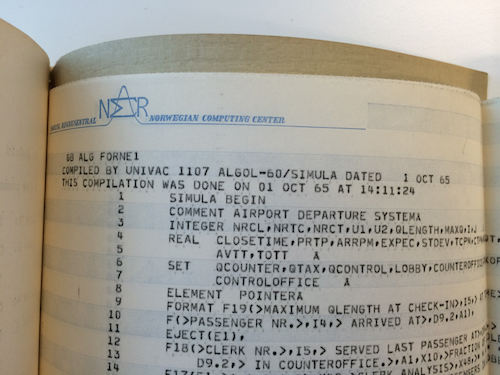 Thanks to Rudi Schlatte and Professor Olaf Owe for letting me have a look at the report!